Here is a very interesting species that I have studied in connection with a common species trapped on yellow sticky cards in the Northwest in and near potato fields for many years now. Heterotrioza chenpodii from yellow sticky trap. Since the early 2000s I have seen a lot of yellow sticky traps from potato production areas, and sometimes psyllids like this one in the hundreds per card. One of the questions I really wanted to answer since 2011 was, where is this incredibly abundant species coming from? Based on a pointer from a colleague in Washington, I started searching for psyllids on Chenopodiaceae such as Atriplex. Sure enough, this species, that I have identified as Heterotrioza chenopodii based on Wheeler and Hoebeke (1997), is very common on the Atriplex herb pictured here. 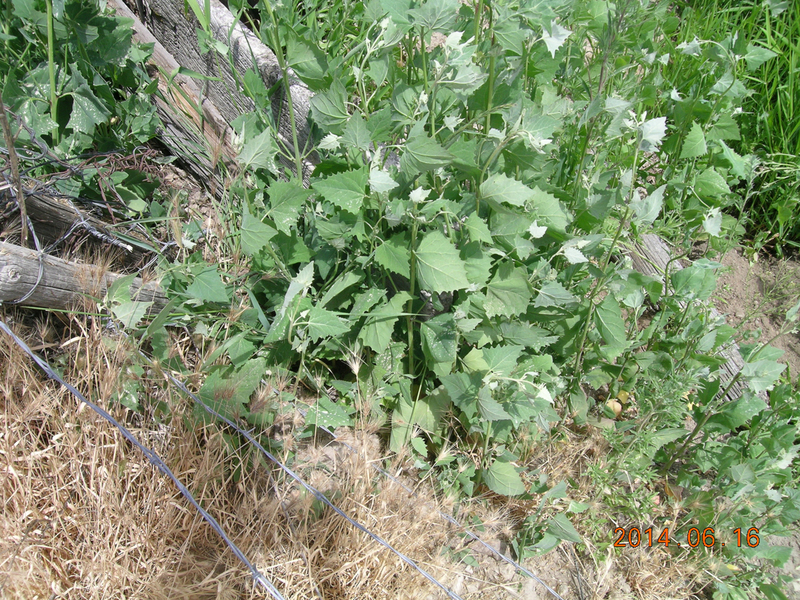 Atriplex herb from near Boise, Idaho. The host of Heterotrioza chenopodii. Now, my specimens looks very different from the photo on Psyl’list, which brings me pause as to the correct identification of this species (the genitalia look very much like the illustrations from previous papers). 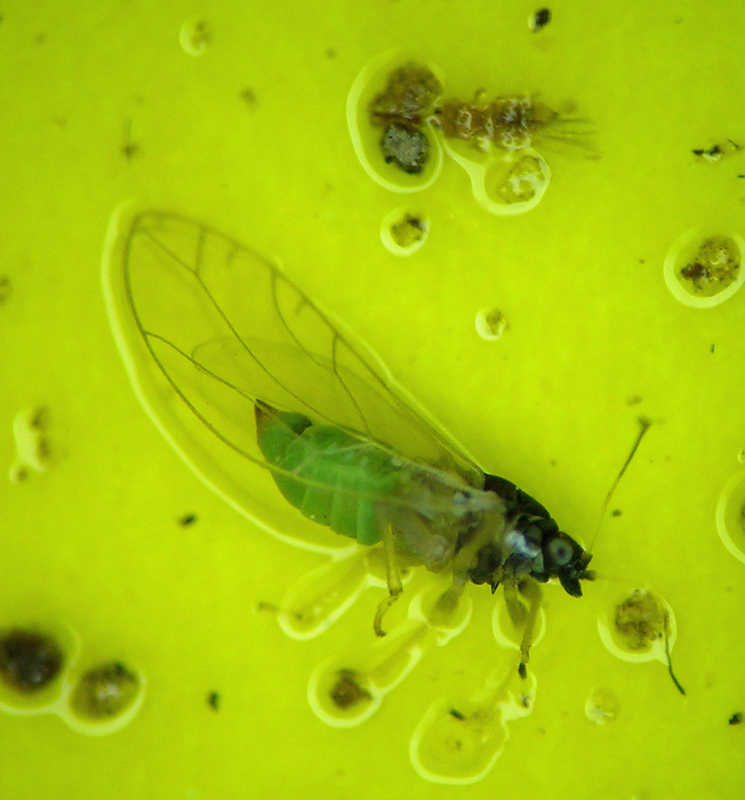 However, the point remains that this very common psyllid in potato producing regions of the Northwest lives on a common Atriplex herb in the area. I have also collected this species from an Atriplex shrub in California. Horton, D.R., E. Miliczky, T.M. Lewis, W.R. Cooper, T.D. Waters, C.H. Wohleb, R.S. Zack, D.L. Johnson, A.S. Jensen. 2018. 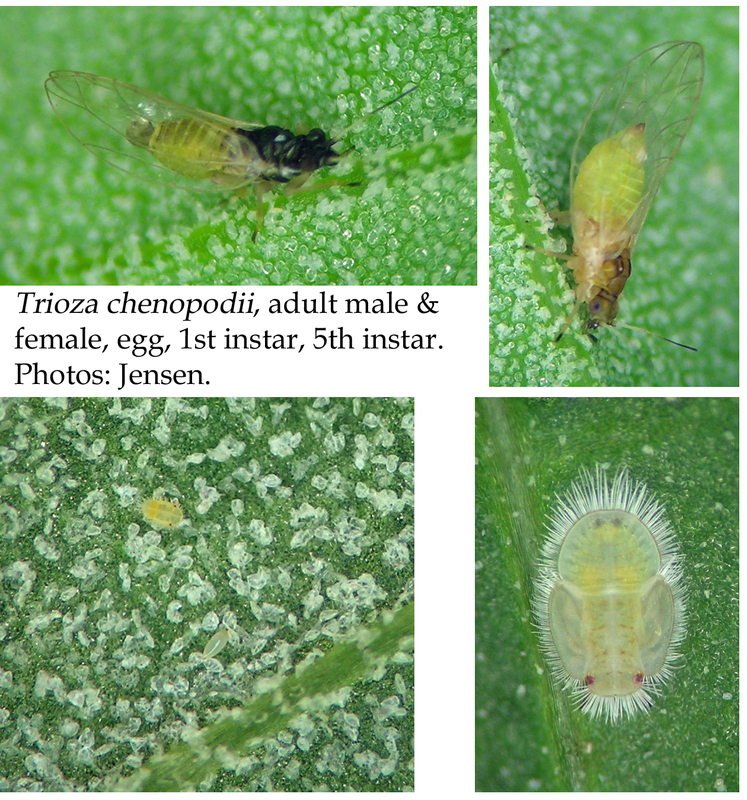 New North American Records for the Old World Psyllid Heterotrioza chenopodii (Reuter) (Hemiptera: Psylloidea: Triozidae) with Biological Observations. Proceedings of the Entomological Society of Washington 120: 134-152.